‘The plumb-pudding in danger — or — state epicures taking un petit souper’. Cartoon by James Gilray, published 1805. In this step we look at the division of the world with the rise of Napoleon’s empire — and the extension of British dominion overseas. Gilray’s cartoon, ‘The plumb-pudding in danger’, is a fine example of the political satire of the period, and in this step’s activity you might like to consider other examples of the time. 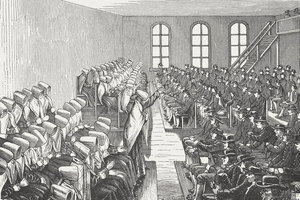 British caricature in the early nineteenth century was both popular and largely unrestrained. The narrative of the next 15 years was to be one in which Napoleon’s political skills were united with his generalship, his gift for publicity and the facility with which he inspired loyalty among his countrymen. How did Napoleon take power? Returning from making peace with Austria, Napoleon was on the point of taking command of the Army of England (that is, the army that was intended to invade England). While England may have become the most implacable of France’s enemies, Napoleon was cautious of the French Directory’s plans for an invasion. The opportunity to disrupt British imperial activities, particularly control of the Eastern Mediterranean and the connection to India, became the focus — and Napoleon was appointed to command the new Army of the Orient, whose target was the eastern Mediterranean, and despatched to Egypt in May 1798. Here he rapidly won what became known as the Battle of the Pyramids in July, but his fleet was destroyed by Nelson in the Battle of the Nile the following month. The expedition was to be a notable failure, at least in the short term. Napoleon’s propaganda insisted otherwise and at the end of 1799 he returned to France, victorious, and free from the taint of faction that had plagued the Directory in Paris in 1798–9. This left him well placed when it came to the coup d’état of 18–19 Brumaire Year VIII (9–10 November 1799), as did his popularity with the military. He was able to propose new constitutional arrangements, which the Directory quickly accepted, and he became the senior of the three consuls it appointed — in just four days, he had become France’s First Consul. There was little opposition — the new arrangements would safeguard republicanism. What was the new regime like under Napoleon? Although Bonaparte was a general, the new regime was not a military one. The army was an integral part of the state, under both the Consulate (the government by the three consuls) and the Empire that followed; it was there to execute orders and enforce policy. The army of the early 1790s had been different: what its officers needed now was professionalism, not radical ideas. There was a new constitution, approved by a plebiscite in February 1800 on a remarkably small turn-out (there was no secret ballot) — but in reality the power lay with the First Consul, assisted by a Council of State, and the French were told that the constitution had been approved by some 3 million people. The Directory had been in danger of losing momentum in its military campaigns in Germany and against Austria. In 1800, Napoleon crossed the Alps, to Italy, and defeated the Austrians on the plains of Lombardy at Marengo. Peace was made with Austria at Lunéville in 1801 and with Great Britain at Amiens in 1802. The First Consul was now emphatically recognised by the French as a peace-maker, as well as a warrior. A plebiscite in 1802, on the question whether Napoleon should be First Consul for life, recorded some 3,625,000 votes in favour and only 8,272 against. 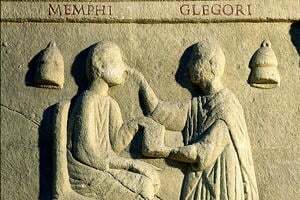 Two years later, by a decree, the First Consul established himself as emperor and a further plebiscite approved hereditary succession to the imperial title. Napoleon crowned himself Emperor of the French on 2 December 1804 in Notre Dame, in Paris, in the presence of the Pope. But France was never to be at peace under her new emperor. 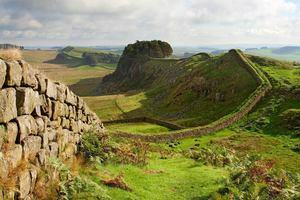 War had broken out with Great Britain in May 1803. Although France assembled an Army of England on the Channel coast in 1803–4, no invasion was ever launched. The French navy, even combined with the Spanish fleet, lost control of the seas at the Battle of Trafalgar in 1805; but French forces on land achieved much more, and were already engaged against Austria and Russia in central Europe, both of which fielded armies with British financial support. Napoleon defeated the Austrians at Ulm, occupied Vienna and then overcame both Austria and Russia at Austerlitz on 2 December 1805. Prussia, it seemed, might be content with the addition of Hanover, the German kingdom that belonged to George III of England. Threatened with disappointment in this objective, Prussia combined with Russia against the French — only for Napoleon to inflict a defeat on Prussia at Jena-Auerstädt in October 1806. The Russians were defeated the following June at Friedland and in July 1807 Tsar Alexander I agreed a peace with the French at Tilsit. How did conflict divide the world? 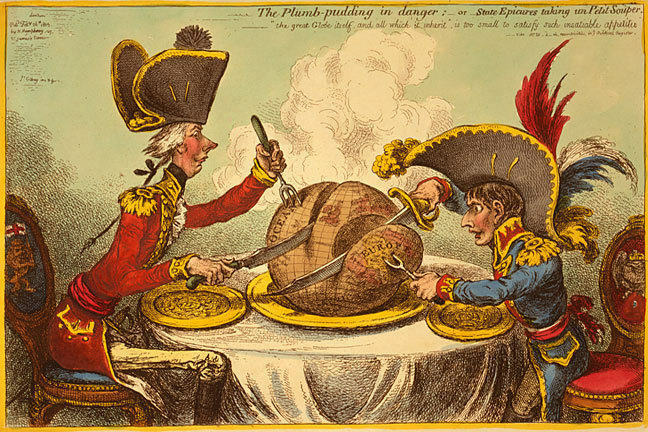 It seemed as if the world were to be divided into two spheres of influence, as James Gilray had anticipated in his famous cartoon published in February 1805, ‘The Plumb-Pudding in Danger’. This was one outcome of a world war. On the one hand, there was Britain, with her overseas trade and colonies; and on the other, France, with control over continental Europe and the Mediterranean. Here an aloof-looking William Pitt the Younger, Britain’s Prime Minister, in military dress — he was well-known in East Kent for riding around in the uniform of Colonel Commandant of the Cinque Port Volunteers, which he had raised while out of office in 1801–4 — but in need of a good meal, sinks his trident into half the steaming pudding and carves off the ocean and the West Indies; a diminutive Napoleon, with a manic fixation, has a smaller share, but it is almost all land and almost all of Europe, France, Holland, Spain, Switzerland, Hanover, Italy and down into the Mediterranean. Sweden and Russia escape — at least at this point in 1805. Gilray had encapsulated the great truth of the war. The British had dominion over the seas, to the extent that by 1811 the French had no overseas territories; but Britain could not defeat Napoleon without winning a war on land. To do that, she needed allies and their armies: Britain simply could not project sufficient military power on land by herself to win the war. It is against this background that French ambition, in Spain and Portugal, created an opportunity for Britain to intervene with her army, in 1808. The use of cartoons to make political comment is nothing new, and you could share links to other nineteenth-century examples in the comments for this step. Cartoons from outside Britain would make an interesting comparison, but please provide a translation if you share these. How do these cartoons achieve their impact? ‘The plumb-pudding in danger — or — state epicures taking un petit souper’; ‘“The great globe itself and all which it inherit” is too small to satisfy such insatiable appetites’. Cartoon by James Gilray, one of the foremost British caricaturists of the early nineteenth century, published by Hannah Humphrey, London, 26 February 1805. The quote is from Shakespeare’s The Tempest, Act 4, Scene 1, ll. 153‒4. British ambition, as much as French, is the target of this satire.